Leslee Miller, a transplant from the Pacific Northwest, reestablishes herself in the Midwest after many years of living in and amongst the Oregon and California wine growing regions. 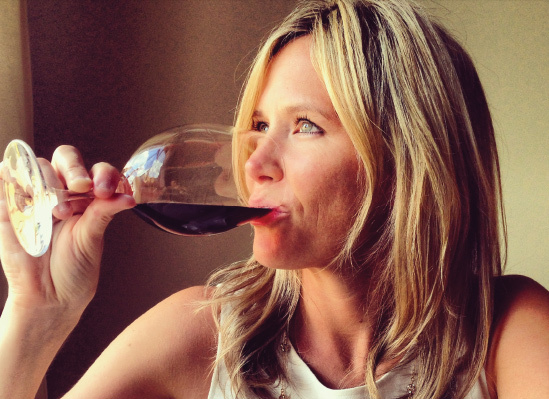 Leslee Miller is a dually certified Sommelier through the International Sommelier Guild and the Court of Master Sommeliers. She is the sole owner of wine consulting firm, Amusée, founded in 2004 and based in Minneapolis, Minnesota. She is also the co-founder and owner of national wine club, Sip Better, founded in 2017. She is a former director to one of Oregon’s most prestigious Pinot Noir houses, Archery Summit of the Willamette Valley, and acted as a member to the board of directors for Archery Summit’s sister property, Pine Ridge Winery of Napa, California for a number of years before returning to her Midwestern roots to start her company in 2004. Daughter of Wisconsin restauranteur with an extensive background in hospitality management, from restaurants to ski resorts across Colorado, Oregon and California, Leslee’s passion for the industry is enthusiastic and contagious. Currently, Leslee shares her expertise, experience and passion for the industry within a number of different settings across the globe. As a great lover of food and wine, she not only educates and shares her love for the ‘great’ wines of the world, but also finds it exceptionally important to give her subscribers a unique and exceptionally fun insight to the everyday international value-driven wine market. Between the range of topics that are written or taught within Leslee’s company, Amusée, you get a pretty good idea as to the variety of interests and vast knowledge she carries within her field. From the roots of the wine world and love for the traditionalists view to the most current trends, Leslee’s focus in the industry has always been: education, community, farming, wine-growing families and experience. As she continues to perform: consulting and staff training for restaurants, retail and international wineries, personal wine buying and commercial & residential cellar management, corporate & private event planning, wine/cooking education classes and food and wine pairing events – her largest compliment continues to be that she is able to share her love of wine accessibly for all levels of enthusiasts. As a nationally published wine writer and regular spokesperson for ALDI markets, Fox 9 television and the Minnesota Grape Growers Association, Leslee’s knowledge and passion for the industry coupled with her energizing personality bring life to each setting. Today, Leslee leads groups of wine enthusiasts to wine regions worldwide to share that experience firsthand. Leslee’s energizing personality and great passion for wine and food make the world of food and wine a fun place to imbibe!